In some situations, you can’t use regular headphones, the audio-output or the nature of the devices don’t allow you to do so. 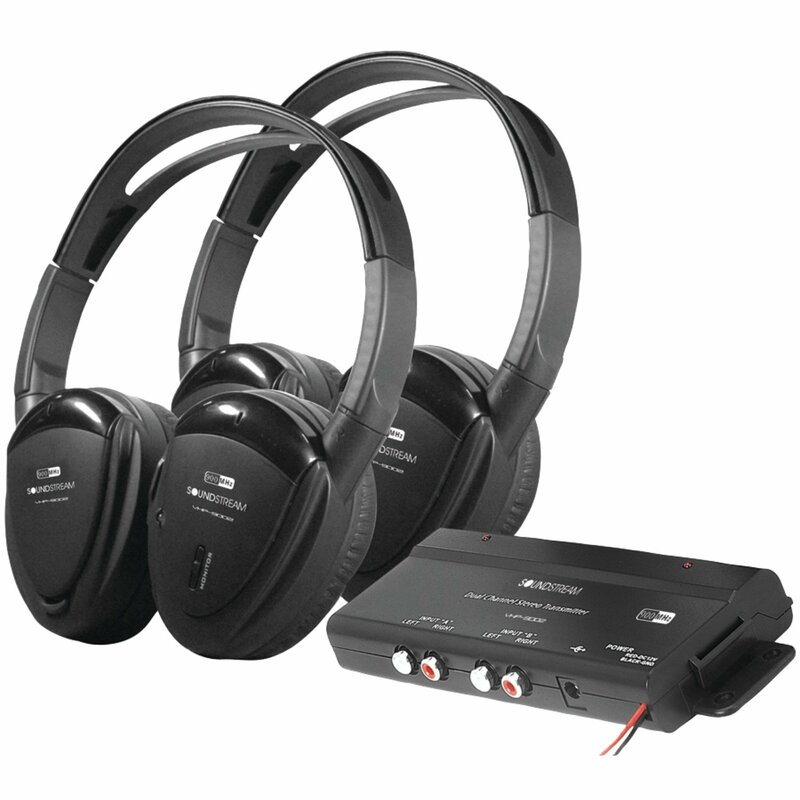 Rare audio gadgets are able to bridge that missing puzzle, and the Power Acoustik HP902R provides a great solution for those with several entertainment gadgets in their vehicles, each with its own headset. If you are an audiophile looking for something that gets the basic job done without burning a hole in your pocket, then this set of headphones is right up your alley. It goes for about $77 on Amazon, and is definitely at the lower end of the wireless headphones spectrum. Here are some of the basic features making it decent gears for TV. The Power Acoustik HP902R does not offer much noise isolation, which is a testament to the price range it falls under. For 77 bucks, you get earcups that are not even padded, so you can’t expect much in terms of noise isolating ability. The HP902R gives you your money’s worth. The headset has the feel of cheap plastic and looks like it may break at any time. They are also pretty light in weight and small in size. On the downside, the earpads are not padded, making them very uncomfortable. They also don’t offer much in terms of flexibility. The headphones can be adjusted to swivel over the ear thus blocking out ambient sounds. The ear pads are also designed to fold flat, allowing you to stash it in your car seat pocket. This provides some functional value but in terms of comfort or aesthetics, some would definitely rank it low. Each headphone comes with its own integrated volume control and a switch for selecting channels, which are all located on the right earpiece. It is designed to be easy to set up, so no problems in putting it together. These headphones come in pairs, so you get 2 for the price of one. They also come with a zippered case for each set of headphones. They are designed with 2 separate RCA inputs, and come with a DC power cord for those who want to connect and use them while in their car. An additional feature is the automatic power off. It has a small transmitter base with two integrated power lights (one for each input). There is no power cable provided, but you can grab one from Amazon for about 5 bucks. These headphones use batteries, but unfortunately none are provided when you buy the device. You just have to buy your own (2) AAA batteries. Since these are cheap headphones, don’t expect any fancy technology on them. They integrate Radio Frequency technology that may have a range of about 100 feet, but does not offer much in terms of sound quality or protect against interference. In terms of sound quality, the frequency response of the HP902R is quite flat, which is decent. The headphones also come with Dual Stereo Audio inputs. The sound isn’t that rich and smooth as other headphones, but it’s adequate for movie/TV viewing for users who aren’t that picky. You should get these headphones if you are on a tight budget or want to enjoy your movie or music without waking up the kids. Other than that, when it comes to overall sound quality, you get what you pay for. This article is about the stuff we think you’ll like, and it is about home audio headphones, the gadgets for home use rather than for people on the go.